There are many reasons why your method of payment is not being accepted. Here is a helpful link to Paypal with reasons for why your payment method was not accepted. What if I'm charged twice or have other billing concerns? How long does it take to complete your course. Typically it takes about 4 hours to successfully complete our courses. Our courses are useful for anybody experiencing the pain of family seperation or divorce including, family members, grandparents and friends supporting a loved one experiencing the pain of divorce. Do your courses require any special software, browsers or plugins? The POD online classroom is completely web based and does not require any specific software or plugins. Our courses will work in all the major web browsers including Internet Explorer, Chrome, or Safari. Am I able to take the course on a tablet or smartphone? Yes, our online classroom is optimized to work on a tablet or smartphone. However, for an ideal user experience we recommend using a desktop or laptop computer. Do your curriculum meet the criteria for court required courses? 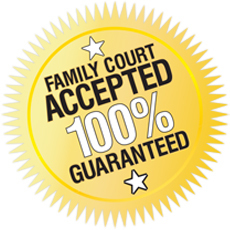 Yes, in most cases our course curriculums meet or exceeds the requirements for classes required by Family Court. To be sure, we recommend you check with your court system to confirm prior to purchasing the course. Does you provide course ceritificates for Family Court use? Yes, some of our classes include a certificate of completion. Certificates will be mailed to you 7 to 10 business days from the completion of the course. Certificates will not be mailed automatically, users need to use our simple certificate request form. Upon completion of the program and certificate request, users will be presented with a printable receipt of course completion for immediate use.